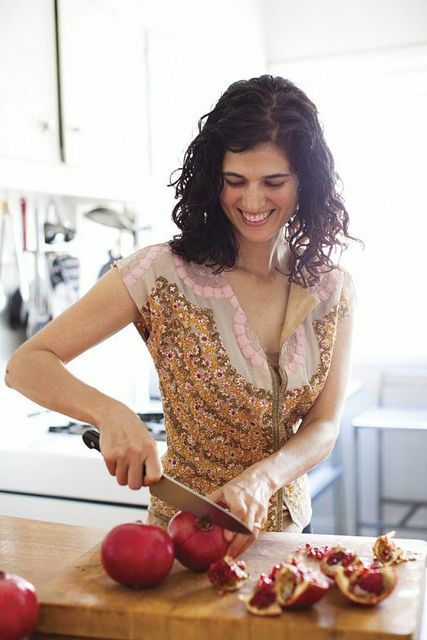 Today: Louisa Shafia, the voice behind Lucid Food and the author of The New Persian Kitchen, explains how looking back at her Persian heritage was the logical step forward in her culinary career. And she's giving away three copies! 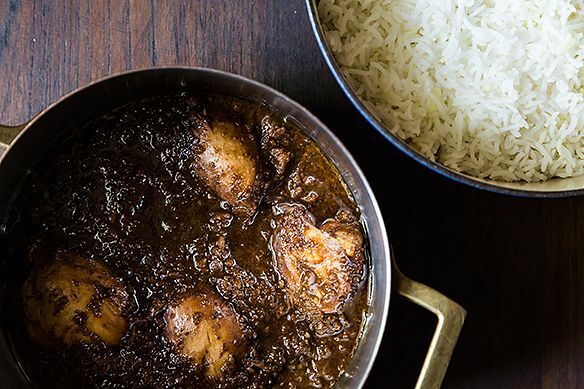 This week's guest editor, Louisa Shafia, grew up eating Persian food, the cuisine of her father's homeland, that she describes as otherwordly: eggplant stews, juicy lamb kebabs, and fluffy rice scented with saffron. It was not until later in her extensive culinary career, however, that she fully realized its influence on her tastes. 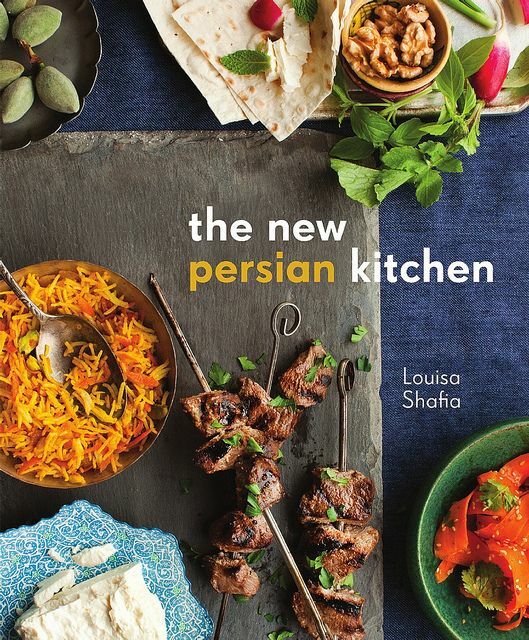 In The New Persian Kitchen, Lousia offers century-old recipes alongside her own creations, introducing readers to an ancient culinary tradition while simultaneously demonstrating how modern meals can benefit from Persian ingredients and techniques. Read on for an introduction to this rich cuisine, in Louisa's words. If you were speaking to a home cook with little or no experience with Persian food, what's the first dish that you would recommend they make? I’d recommend fesenjan, the classic Persian stew of chicken or duck in a sauce of ground walnuts and pomegranate molasses. The combination of rich walnuts and tart pomegranate is like the pairing of complementary colors; it’s a natural fit, and when you taste it, it makes perfect sense. Fesenjan is an ancient dish that reflects the Iranian history of growing lush fruit gardens in the desert, and it gives you a sense of how much Iranians love sour, fruity tastes. Fesenjan is pretty easy to make, too, but the flavors are so epic that it tastes like you were in the kitchen concocting magic for hours. When topped with a few mint leaves and served with fluffy basmati rice and thick yogurt, this is truly a regal meal. More: How to make the most of pomegranate molasses. Your book features a mixture of dishes that are your own inventions -- personal explorations of Persian ingredients and techniques -- and time-honored dishes. Where did you get these traditional recipes? There’s a well-established canon of classic recipes that you always find at Persian restaurants and in Persian cookbooks. If you are Iranian or if you’re good friends with an Iranian, it’s guaranteed you will know -- and love -- these dishes. Many of them are ones that my mom taught herself to make for our family (my mom is American, my dad is from Iran), like bademjan (eggplant stew), fesenjan (pomegranate stew), and joojeh kebab (chicken kebab), so they were favorites from childhood. My repertoire was expanded by going to family gatherings and tasting the different specialties of my hosts, and learning in the kitchens of friends and relatives who taught me their most treasured recipes, like Baghali polo (rice with favas and dill), step by step. More: A recipe for fesenjan where pomegranate is the star. You've worked at raw, vegan, and high-end restaurants and written Lucid Food: Cooking for an Eco-Conscious Life. How did your culinary background shape this book? Besides the fact that I’m half Iranian, what drew me to Persian cooking was that it’s healthy, fresh food, with an otherworldly aspect that comes from ingredients like rose petals, saffron, and pomegranates. After my experience working everywhere from Chinese to Swedish to vegan restaurants, turning my attention to Persian cooking feels like a natural next step. I’m fascinated by the way that cultural ideas were exchanged along the ancient Silk Road trade routes, and Iran, being right in the middle of it all, has a cuisine that draws influences from China, India, Russia, Africa, and Eastern Europe, to name a few. I enjoy making food choices that take the environment into account, and Persian cooking fits right into my eco-friendly tendencies. Traditional Persian cooking uses a small amount of meat to flavor a dish, but the real focus is on fresh fruit, vegetables, and herbs. More: Louisa's recipe for Lamb Kebabs in Pomegranate-Walnut Marinade. What recipe in this book could you not live without? That would have to be ash-e reshteh, the classic soup of herbs, noodles, and four different kinds of beans that’s a traditional food for the new year. It’s a one-pot meal that’s warming and full of contrasting flavors and textures, from the hearty beans to the leafy greens to the pan-fried onion and mint garnish. What do you like to cook for yourself after a long day? I take homemade chicken stock and add sweet potatoes, lentils, kale, and garlic. When everything is tender, I put it in a big Chinese soup bowl and top it with scallions, lemon juice and extra virgin olive oil. That’s my comfort food. This week, Louisa Shafia is serving as a Guest Editor at Food52. She'll be choosing a Wildcard winner, answering your questions on the Hotline, and sharing recipes from her new book, The New Persian Kitchen -- because your kitchen deserves a taste of the exotic every once in a while. 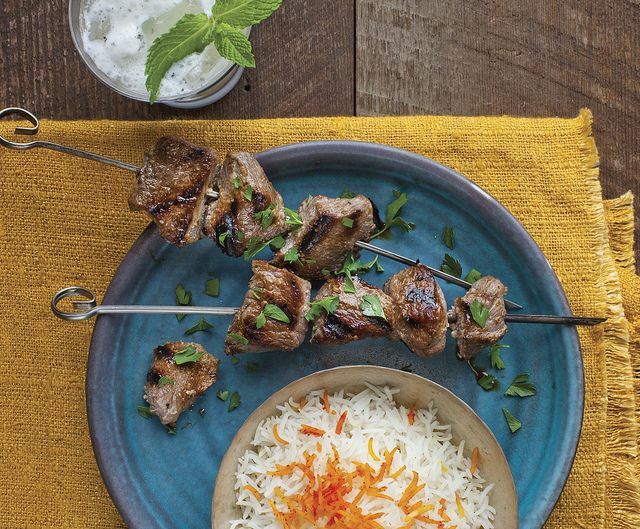 We're giving away three copies of The New Persian Kitchen! To enter, tell us about a new ingredient you'd like to try -- we'll pick three winners at random by Friday, June 21 at 3 PM EST. persian cuisine is so close to indian cuisine...would love to experiment with the recipes in my kitchen ! A good way to put rose water to use is in homemade ice cream. Substitute rose water for vanilla in a plain ice cream. Do use a bit of salt & pepper to taste in the yogurt! I hear a lot of interest about how to use dried rose petals. My father(from Esfehan) uses it as a garnish by crushing a Tspoon along with dried mint on top of his mast-o-khiar(creamy plain yogurt with diced persian cucumbers, raisins & walnuts.) this is a side dish in Iran. But add some dates and dried bread in the mix, and you've got yourself a healthy meal. it is sooo good! Just be sure to use the edible kind of rose petals(not the commercially grown with chemicals & pesticides )): I make my own from my garden. preserved limes, which with fresh lime juice was always in my mother's khoresh (persian stews) I am glad to see Persian cuisine get some recognition, and want to introduce my daughters to some of these dishes. Still remember delicious baklava and saffron ice cream from Lalla rokh, persian/azeri restaurant tin Boston where I did medical training. Fenugreek . It is an essential ingredient in ghormé-sabzi (an all time favorite of mine) though not many people know of it's other uses in dishes particular to smaller regions in Iran. My head is going in circles I am thinking what about a Pomegranate Molasses Rum Cake. Dried Persian limes, if I can source them! Louisa's description of them in the pantry post makes them sound wonderful. Rose petals and rosewater. I've no experience with them, but how impressive do they sound for the next dinner party? Rosewater! It sounds so simple but so elegant! 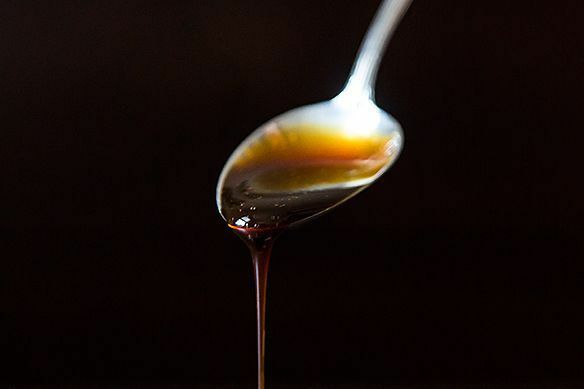 After reading this review, how could I not say pomegranate molasses? Oh--so many! Rose water & pomegranate molasses have been mentioned, but I've never even cooked with fresh lemongrass, and I'd love to do that. Excited to use the bottle of pomegranate molasses that I just bought!